Are you thinking about adopting / fostering? 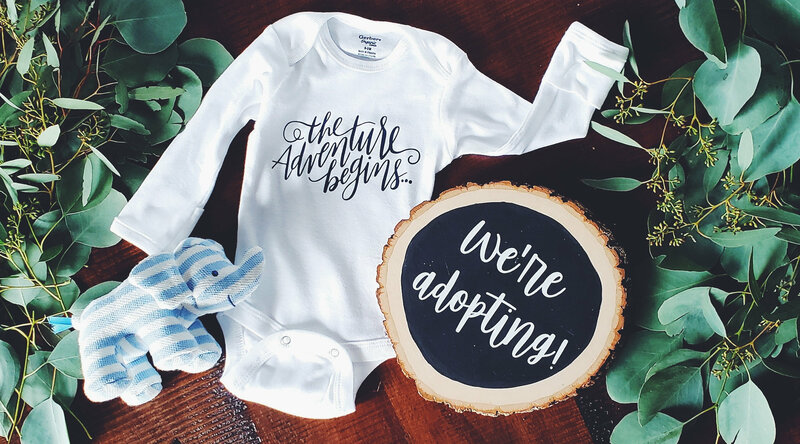 Are you in the process of adopting/fostering? If so, please tell us more about yourself and your experiences so far. -What route (Foster Care adoption, domestic, international)? -How are you feeling about the process right now? -Any tips for the steps you’ve passed? -Any questions? Our agency told us that they get a lot less hotline calls and new children coming into care during the summer. Anyone else going through foster care hear something like that? I'm wondering if it's because of school or if it's just a weird local thing. -Any tips for the steps you’ve passed? Nothing I haven't shared already. -Anything else to add? Not right now. Just hoping that we get a call soon. Summer is pretty much over (kids are back in school after this weekend here) so if that trend is true they'll need to be placing more kids soon. -Where are you in the process right now (just thinking, home study, waiting for match, etc.) Still working on marketing materials and waiting to be matched. -How are you feeling about the process right now? Better than last time around. I think we finally landed on a good way to explain my living situation in which I am the legal adopting parent but my BF that I live with will play a significant role in parenting. -Any questions? None right now. -Any tips for the steps you’ve passed? In the Home Study process you should be more open than you intend to be in your adoption contract. For instance get approved for children up to 6 months even if you plan to contract for a newborn. You never know how time will change your preferences. -Anything else to add? Not much. It's a holiday weekend here so I'm enjoying spreading out my weekend chores a little so I have time to visit with friends. We had a great barbecue today and I got to see friends I don't often see outside of my public speaking group. @britters314 My BF works for a local foster shelter and he says that he sees more kids being placed in foster homes from the shelter during summer because it's easier to move the kids around after school is out. That's interesting. So that's the opposite of what our agency told us. Maybe it just depends on how each state or even each agency runs things. Yes. I'm sure that each state or agency has their own system. Just finished Home Study #2, just one 2.5 hr session left! However our SW mentioned getting us permitted a couple weeks early and submitted our name into a matching pool for an 8mo baby boy whose mom just left the state and said she doesn't want any further attempts at reunification. So they want to place the baby with a preadoptive family since it's looking like reunification won't happen and all relatives have declined care. That match meeting is tentatively scheduled for Friday, so I'm just saying my prayers and trying not to get ahead of myself. We are adopting from foster care in GA. It is slow, but we have been FPs a little while and are used to the state timeline. I don't think so. My cw is amazing. Just be patient. And LEARN ABOUT TRAUMA. Too many FP enter the system not understanding trauma and how it changes parenting requirements. FS (age 5) and FD (age 2) to become AS/AD very soon! @mommabmb I just read your intro! So you have four under 4 and one on the way?! You must have your hands full. I bet your house is always full of excitement. We're going on year 4 of nothing but a dog, I'm so ready for some noise and chaos! We actually have a 4yo BS and 2yo BD and our FS is 5 and our FD is 2. So, 4 kids under 6 and one on the way. It is a little crazy! @singlemommanbean Thank you so much for coming here and sharing your story. I can't imagine how you must be feeling as it looms closer to your due date. You are absolutely right, adoptive parents waiting to adopt are fortunate beyond measure to be able to afford adoption and raising a child. I try to remind myself of this everyday when I am feeling low about not being a mother yet. I completely agree about changing names. I hope that adopters on this page are reading your words and feeling the pain behind them and not just brushing them off because they are at odds with their own feelings. Changing a name takes away from your child as well, it takes away a part of them that ties them to their birth family. I hope that you will stay and continue to participate. Your voice is an important one that is often overlooked in the adoption triad. I hope that you will feel comfortable and supported by all of the women here regardless of if you decide to place or not. 12.25.18 Agency picked and apps submitted!